This is one of the major mysteries of end-time Bible prophecy. I’ve interviewed Bible prophecy experts like Terry James and others to gain some keen insights into this mystery. 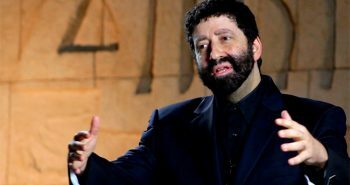 Q) I would say that in conducting Bible prophecy conferences for 30 years now probably one of the number one questions always asked is, “Where is the United States in Bible prophecy?” And that has become even more acute question in these times because all the signs point to the fact that we are right on the threshold of the Tribulation and the end-time events, and we are the number one world power. So, why is it we’re not mentioned in end-time Bible prophecy? A) That is a strange thing because certainly the United States is the most powerful nation that’s every existed on the face of the earth. It is the most blessed materially and certainly one of the most blessed spiritually that’s ever existed. But, just the fact that it’s the most powerful nation that has ever existed and brought forth the most technology and the fact that its not mentioned is just quite a thing to query, and I think its not mentioned for specific reasons. The reason I believe the United States is not in Bible prophecy is because it has deserted its mission, which was basically two fold in my view. The first was to get the technology that would eventually get the Bible to the whole world. And that we have done and we continue to do it, and maybe that’s one of our saving graces up to this point considering how far we’ve fallen in so many areas. But that was number one. The second thing I think is to be the protector in the human sense. Now, God doesn’t need anybody to protect Israel. But in the human sense, I think that the United States has been used as a mighty weapon to keep other nations from completely overrunning Israel. We acted as midwife with that with President Harry Truman having almost a supernatural insight in some instances into Bible prophecy and what it all meant. He was there at the right time at the right place. Not that we always would agree with his politics or anything like that maybe, but as far as using him as an instrument to protect Israel that has happened. So America has had those two primary missions and I think we’re still in the process of doing the first one and that is to bring the Gospel message to the whole world through the technology we develop. But the second, we are beginning to stray from and I think that is in dealing with Israel. We know that Genesis 12:3 says that, “God says I will bless those who bless three, curse those who curse thee.” Of course, America has been the materially blessed nation on earth — no question about it. Q) A good portion of your book is devoted to America straying from what God called us to do. What is the evidence that we have really strayed from that and that God’s judgment may be upon us at this time? A) We talked about the way America has been blessed because it’s treated Israel well and blessed it. The second part is the sadder part and that is that America has begun to stray in a major way with dealing with Israel as we have put pressure on Israel to give up land for peace. What is particularly troubling is they’ve been pressured to give up part of east Jerusalem to a new Palestinian state; a “Two State Solution” they call it. And this I can tell you from God’s Word flies in the face of the Lord. Anybody who touches Jerusalem touches the apple of His eye according to God and that’s exactly what has happened. Joel 3:2 says that “I’ll bring all the nations of the world into the valley of Jehoshaphat for dealing unjustly with my people Israel”… and that’s exactly what’s happened! But, there are so many other things, too. Paul’s perilous time of Second Timothy chapter 3 just runs rampant throughout America, from the proud boasts we see in all the political process and in every strata of American life, all the way through to people who become fierce, who become lovers of pleasure more than lovers of God — all these things. Particularly, I find a problem is the verse about “without natural affection.” Paul says this and it’s particularly applicable to abortion. More than fifty million babies murdered in their wombs since Roe v. Wade in 1973. Secondly, the homosexual issue and the gay rights issue that is just pandemic. Every major empire that’s ever crashed has had at the very end of its lifespan homosexuality, from Lot’s time onward. Q) I have found that many people including Christians believe that God’s sitting on his throne wrapped in an American flag and that He would never ever touch the United States of America. Is that true? A) Well, of course we both know that’s just foolishness. Israel, who God calls “His chosen people,” He has certainly taken them to the woodshed on many occasions. If it wasn’t for His promises and His grace they would not be back in the land today. And America certainly is not mentioned, and the very fact that the United States is not mentioned in Bible prophecy despite it being far greater than Israel ever was materially, not spiritually, but materially… and to have such a great nation as the United States has been hailed to be and it’s not mentioned anywhere in Bible prophecy by name? That in itself tells you how that America or no other entity is above God and His ways. Q) Why isn’t the United States mentioned in end-time Bible prophecy? People have speculated it’s because we’re going to be attacked by Russia or China. Others have speculated it’s going to be interior terrorist attacks that will bring this nation into chaos. Others have suggested it will be moral rot that will cause the collapse of the nation. Others have said it’s going to be economic collapse. What do you think it’s going to be? A) It could be all of the above! But, I really believe that this nation is going to come down hard when the Rapture occurs. There will be chaos beyond belief and I believe personally that every single child below the age of accountability (that age when they know to accept Christ or refuse), will be gone in an instant. Just that alone is going to cause chaos beyond imagination. God’s going to make a definite statement, in my opinion, at that very moment about when life begins, because every woman left behind I believe who is pregnant will at that moment lose that child and they will be without that baby. And so, many things we see right now that would completely tear down the sovereignty and autonomy of America has been going on for some time. It’s happening now on a fast track in my opinion, and I think when the Rapture occurs it’s going to be a complete collapse, not only of America but the whole economic situation. The scenario as I see it is that America will cease to be a super power because it will have lost its national and its economic and every other part of its equilibrium. A) I think the European Union is the answer now. Europe has turned out the gospel light long ago and the Islamic way is now taking over even the old churches. They’re becoming mosques. And so they are still going to have a particularly strong structure called the EU at the time of the complete collapse. I believe at that time America and its leadership which will have been devastated is going to look for a strong way to restore equilibrium. 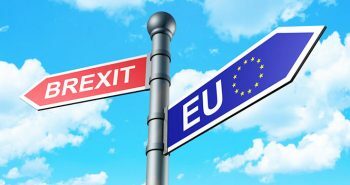 The United States with its great power and technology is going to be accepted into the European Union and become a part of it. Answer by Phillip Goodman) The United States in end-time Bible prophecy generically has to be classified with all nations. There’s no specific reference to the United States. But generically, if the United States still exists and is still here as a nation, it’s going to be like all the other nations. 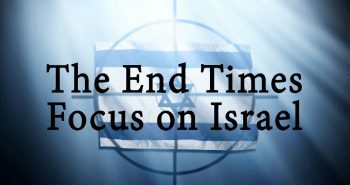 It’s going to turn against Israel and it’s going to come down upon Jerusalem in the last days. It’s going to bow its knee to the Antichrist and it’s going to come under the crux of the Antichrist. It’s going to come under the same destiny of all the nations in the last days because of one of the nations. But, there’s a specific reference to or at least an illusion to the United States in Daniel 11. Daniel 11 begins in verse 36 talking about the Antichrist. You come down to verse 39 and it says the Antichrist will take action against the strongest of fortresses. The King James Version says “the most strongholds.” The Hebrew word maoz means “the strongest of fortresses,” or as the New International Version would put it, “the strongest against the mightiest of fortresses.” You’ve got all of these different, but it all comes down to this term “the strongest of fortresses.” In modern terms that is super powers. That’s simply what it is. So this is a prediction that the Antichrist will take action against and will prevail over whoever the super power is in the last day, or the super powers. And, of course, right now the United States is seen as the super power in the world with Russia and China a close second. So this is a very, very strong illusion to the United States that it will fall. This answers the question of how the Antichrist is going to reign and rule over every nation, tribe, tongue and people including the United States in the last days. Answer by Al Gist) I don’t think the United States really plays a major role. For many years I’ve always preached that since World War II we’ve been the leading nation of the world — economically, politically, militarily. But, the Bibles is really clear that the kingdom of the Antichrist will be a coalition of European nations. Europe will be the leading power of the last days. It’s through that power base that the Antichrist comes to reign and from that he will spread his evil tentacles eventually around the planet to control the entire world. Europe will be the leading nation of the last days and the Antichrist will come to power through that. The United States I think is only mentioned indirectly, such as in Zechariah 14, where it speaks of the nations of the world coming against Jerusalem. I’m assuming that even though we may not be the leader of the world, the United States may still be in existence and may be part of the nations that come against Israel. So only in an indirect way do I see the United States mentioned in last days Bible prophecy. Answer by Ed Hindson) Technically, no place. Specifically, now in one sense is the United States included in the whole world in the end-times? Certainly. The United States will probably still exist at the time of the end. Especially if we’re near the time of the end the United States would be a player. The Antichrist the Scripture says will ultimately control the whole known world and impose the Mark of the Beast at the time of the end. That would include the United States. But, the Bible does not say anything about a nation like the United States having an active role in the end-times. That may mean that the United States, number one, is part of the European coalition which is controlled by the Antichrist in the end-times. Assuming that many Americans are transplanted Europeans… although one could say that of Canadians and Australians and New Zealanders as well. We need to pray for our nation’s spiritual health as never before. Our hope is not a new political party or a new President or a new world order. Our only hope is Jesus Christ. And, since He is returning very soon, we need to proclaim the gospel to as many people as we can as quickly as we can. it seems everyone that was interviewed tho expressed it differently came to pretty much the same conclusion. the conclusion that i believe is the most accurate. i may be mistaken but i just dont see the U.S. totallt crashing before the rapture. i think there are too many christians and i think of lot+at the time of the rapture(i said this before) people will be eating, drinking… a case that will NOT happen if the U.S. crashes. that being said, with the christians gone we are so ripe for judgement i believe we are the FIRST nation God judges after the rapture+i believe we are NOWHERE mentioned in bible prophecy. may be mistaken but i dont think so. I also believe that it’s the Rapture that eventually brings the USA to her knees (as much as I hate to say it). Let’s see…America has been critical to Israel’s birth and survival while the rest of the world either couldn’t care less or wanted her destroyed. So now, because we are becoming backsliders in receent years are going to get destroyed while the rest of the world, the ones who have been against Israel from before it came to be, they get to live on their merry ways in this world? Americans will suffer through economic collapse, riots, fires, earthquakes, nuclear war and all else and the rest of the world will continue to live happily without us. I DON’T THINK SO! America will not be a player in the final days because the majority of us will be gone via the Rapture. That’s my view anyway. A loving God who will spare His church from His wrath, not crush us like a tin can now that our purpose is over. (Dawg…I think you and I are on the same page on this one). The United States is the one world power that is able to stand against Islamofacism. When the U.S. ceases to be that world power either another country will step up to the plate or we will be ruled by Islamofacism. Which do you beleive it will be? Great article and great posts. Still, I find it amusing that we in America are so egocentric. I mean, do the Canadians and Australians sit around asking where they are in Bible prophecy? I know WHY many Americans ask this, but I just find it humorous and a little tiny bit self-centered, yes? Nonetheless, I’ve thought about what you said, Billy, and it makes sense to me. Many other nations around the world have been SO against Israel for a long time, and yet they are still going their merry way. That tells me we’re still in the age of grace, meaning the world has not seen judgments from God yet. We’ve seen warnings, I think, but not judgments. With all these signs and the rapid decline of America, I feel that the rapture is so very soon. Come all you sinners to the Lord, and come quickly Lord Jesus! The principal of “To much has been given-much is required” comes to mind. 177 years ago, a minister could say that this country was of God, and proclaim that He was King. But in the time since, Christians have allowed a godless world view take over the country without much of a fight. Most of all, we are now allowing our government to pressure Israel into giving land to people who do not belong in it as a way to bring peace to the region. We do not have to wait for the rapture to come for God’s judgement to fall on this country. The moment that leaders of this country pressure Bibi and the rest of Israel into accepting a palestinian state, there will be all kinds of destruction and chaos in this country. I do not claim to be a prophet of God, but I do know the special love that God has for the decendants of Jacob and the land which He gave them. Try to poke God in the “eye,” and He will swat you away like a pesky insect. Only, God’s “swats” are extreemly significant. You can all believe God is going to pour His judgement out on His church if you want. You can believe He will make Christians suffer His wrath just like the unbelievers. Go ahead. If that’s your view of God, fine, it’s your view. As for me, I’m faithfully trusting in the Word of God that tells me Christians are NOT destined for His wrath. I’m a sinner who has been washed by the blood of Christ and therefore I am BLAMELESS in the eyes of God. My sins are FORGOTTEN. If not and I have to suffer wrath, judgement, punishment, etc. then the blood Christ shed on the cross was meaningless. You can all believe the sacrifice of Christ means nothing, not me. My sins were pardoned by the Lord on the cross. Therefore I will not be judged and condemned and punished and subject to wrath. I’m not worried. I’m not stockpiling food, water, guns, etc. so that I can survive an Earthly purgatory. I’m faithfully awaiting the return of Jesus to rapture me from the judgement to come. Judgement is NOT for Christians! Christians will not be swatted like a fly! We are saved! We are destined for salvation! Billy, I agree with you to a point. There are a lot of “Christians” who will be standing around after the Rapture going “Wha’ happened”. I’m not lumping the entire denomination (that is: all members) into this, but look at the stance of the Presbyterian church towards Israel. They boycott God’s chosen people because of their treatment of terrorists. Or the Pope the moment he steps off his plane at Ben Gurion and starts calling for a two-state solution. Not all so-called Christians will get to meet the Lord in the air, unfortunately, because not all Christians are saved. Now, people who have been washed in the Blood of the Lamb Who was slain are free and clear from the wrath that is coming. On that I whole-heartedly agree. Well!I don’t believe in the secret rapture. It’s not mentioned in the bible.If you look all through history in the bible, no one was ever raptured to safty. Daniel wasn’t saved from the lions den, he was saved thru the lion’s den. Noah was saved from the flood, he was saved thru the flood. Shadrach, Meshahach,and Abednego weren’t saved from the fire, they were saved thru it.There are many more in the bible too. Why? do you think we are better than they were. Get ready for the tribulation!And stand strong in your faith. When in history, has the church been saved? When? No where in the bible. All the prophets of the bible were persecuted and murdered. These were people sent by God to spread his word right? Then why does everybody think they are more worth in the end times to be saved from same trials and tribulations that our for-fathers went thru? We won’t be save from the tribulation. We will be save thru it. God the Father will spare most of us. We must be here to stand against the evil one. Mathew 24…If the church is gone, who will stand for stand up against satan and his followers? Obviously the rapture does exist, for I have personally read about it in the Bible (though the word “rapture” isn’t used – it’s what it is commonly known as). To say it is secret or isn’t there is just an outright lie. If you choose not to believe it, so be it. That’s your choice. I’m trusting in the Word of God which tells me otherwise. The Church throughout history has always suffered under the wrath of man. But, the wrath of God, which will be poured out on the earth during the Tribulation, is something different entirely. God promises to save the Church from His wrath. These 2 wraths are different things, BelieverinChrist. Billy and Nathan, can you sahare versus to back up your comments. I’m quessing you share thes :4… Am I correct? The 7-year Tribulation purpose is God’s time to pour out His wrath on humanity for thousands of years of rebellion (Rom. 5:9; 1 Thes. 1:10; Rev. 15:1). Although, many will repent during that time and can be labeled Tribulation Saints (Rev. 20:4), yet during that time a vast majority will refuse to repent (Rev. 9:20-21). Nathan said, “But, the wrath of God, which will be poured out on the earth during the Tribulation, is something different entirely. God promises to save the Church from His wrath…. The 7-year Tribulation purpose is God’s time to pour out His wrath on humanity for thousands of years of rebellion”Hi Nathan, can you show me Scriptural support to back up claim that the wrath of God which we are not appointed to is poured out during the Tribulation? Where do you find this? Hi Nathan, can you show me Scriptural support to back up the claim that the wrath of God which we are not appointed to is poured out during the Tribulation? Where do you find this? although the rapture isnt the point of this discussion i enjoy watching mitchell and nathan go round and round over it. specially since neither of you two get all nasty over it. i wont post my thoughts on the rapture here but perhaps in the future nathan or reagan can put another “rapture post” kinda like a follow up on the series he did in october i think. specially since there are likely hundreds of new people to this site since then. only this time try and state ALL the points from both sides cuz they both have very valid points. Anon said: I don’t believe in the secret rapture. It’s not mentioned in the bible.If you look all through history in the bible, no one was ever raptured to safty. For in the days before the flood, people were eating and drinking, marrying and giving in marriage, up to the day Noah entered the ark; and they knew nothing about what would happen until the flood came and took them all away. That is how it will be at the coming of the Son of Man. Two men will be in the field; one will be taken and the other left. Two women will be grinding with a hand mill; one will be taken and the other left. I believe these are all references to what we know as the Rapture. You may choose to believe it or not, but I’m willing to bet I’ll be the one saying “I told you so” after it happens. Billy, saying “I told you so and saying you can’t wait” is Boasting and God speaks against that. But, I’ll pray for you. I guess we won’t agree on this topic. I don’t think that’s the most important part in the bible. Since we can’t agree on this topic, I guess we can agree to disagree. I will leave this last thought. In Math:24:21-22 Christ speaking that if the days of the tribulation are not shorting, that even the elect would be decieved. But, for their sake it is shortened Rev. 9…So if we are raptured out, why would the days need shorting if the elect are not here? Anon wrote:In Math:24:21-22 Christ speaking that if the days of the tribulation are not shorting, that even the elect would be decieved. But, for their sake it is shortened Rev. 9…So if we are raptured out, why would the days need shorting if the elect are not here? The word “elect” (Greek “eklectos”) means chosen or selected. Are not the Jews God’s chosen people? Non-Messianic Jews will not be saved from the Tribulation because they haven’t accepted Yeshua as Messiah. But during the Tribulation there will be 144,000 Jewish converts to the Messiah. So I believe that when Jesus is speaking of the elect, He is speaking of the Jewish people and the Gentiles they lead to Messiah during the 7 years Tribulation. Anon…I have to admit my reaction to your post was an LOL. To say I need prayer because I’m committing some horrible sin of boasting has me baffled. Saying I told you so was a playful jab meant in the good spirits of verbal sparring (c’mon, lighten up and have some fun). But to say my looking forward to the return of Christ and the Rapture is boasting is beyond my comprehension. Don’t bother praying for me on this – when I need forgiveness I’ll seek it from the Lord myself. My sins are covered by His blood, thank you very much. I don’t need your intercession. The thing that has me puzzled the most is why you think Christians will be subject to the tribulation period and why IT SEEMS TO ME (though perhaps in error) that you have some desire to want to go through it. Trust me, YOU DON’T WANT TO! Nor do you need to. Do you think we who belive in the Rapture are escapists? I will retract my “I don’t you so” since I won’t need to say it to you on that day…you’ll already know it yourself and by then our little debate won’t matter. Billy (good you’re still around), I’d refer angry Post-Trib supporters to the previous article Kamikaze Post-Tribulation Rapturists. Anon…I truly think you’ll sneak back in to see how we reply…I hope so anyway. 1. How can I as a true believer in Christ be lost? 3. My view of myself as a Christian is I am still in a body of flesh and therefore subject to sinning until the day I die. I will need Jesus to forgive my sin to the day I die (or am raptured). I’m not perfect and still sin and make mistakes but as a Christian, I recognize the sin, suffer for it, desire not to repeat it and need forgiveness of it. 4. Please don’t go. Please stay. We really are nice people and want you here. Really! Truly! You called me a swine and I still want you to stay! Please reconsider! I’m totally serious. Anon, there is no need to run off. Everyone is welcome here. Hey Mitchell, can you show a resurrection and rapture at the 7th trumpet? Anon…is that YOU? Welcome back! We all know and agree that the dead in Christ rise first, THEN we who are alive and remain will be caught up with them (raptured). If the first resurrection is after the tribulation as Revelation 20 clearly states, then there is no resurrection before it, and if there is no resurrection before the tribulation then there is therefore no rapture before the tribulation. (Also, why would the text say those who are “alive and remain” if the rapture was pre-trib?) The only way for the pre-trib teaching to get around this dilemma is to separate the first resurrection into "phases", which is not supported in Scripture at all. In fact, due to the "phases" contention the pre-trib position is essentially stating that before the first resurrection is even fully completed that the rapture takes place, yet Scripture is clear that the dead in Christ rise FIRST, and THEN we who are alive and remain will be caught up. There rapture, therefore, is post-trib. Hi Nathan, per one of your post above you believe that the wrath of God will be poured out on the earth during the Tribulation. The reason why I asked where you find this in Scripture is because I have never found any pre-trib arguments supporting the claim. Hello all, been reading, just want to make a few points to you. 1. We need to stick together on whats most important, that's spreading God's good news, not bickering over the minute details. 2. Rapture is not used, but there is something that shows the picture. Right after the dead arise, some to live some to die, Christ/God talks about 2 by 2 in the field, one will be taken one will be left, in the house, and so on.. So basically here is your rapture. 3. Math 24 clearly states, as many has here already, some people that will be left behind, that are christians will be here for a reason. As well, as that it says we will be hunted down, along with anyone with out the mark, and our heads cut off. We will be out casts and so on. -The point of this one is that God said, that those days shall be shortened for the elect sake. Elect? Strongs Concordance states those of a higher calling, higher standard and so on.. This could be talking about the Jews as they are the Apple in Gods eye orrrr.. people that accept Christ.? Double edged sword there. 4. The bible talks about the very elect, here is that word again.. Elect aka people that love God that know the truth, the highest of highs, of priests and holy men, will be fooled and turn from God and worship the Antichrist. 5. It rains on the just and the unjust alike. I dont think I need to say more. 6. And MOST IMPORTANT, yes God's rath will be spilled apon the earth, but thats not what the end times is about..
Its about getting people to repent. Point blank.. for they will truly see the errors of their ways and see their sin.. they will see the truth, they will see the antichrist for who he is, when all the people with the mark, have boils and sickness and those with out professing Jesus do not.. The picture is clear.. Gods judgment final once and for all is not till after the millial rein at the Great White Thrown Judgment. Every point is accurate in one form or another. Here are the facts of the verses of the bible. There is a rapture (not the way we often think) we are to pray that we are accounted worthy to escape these things. Thats the exact phrase. There will be people that are Christians that are just as righteous as those that are ruptured left behind, else wise we would not have the very elect still in the scene. And most importantly the rapture is about repentance, not just damnation and judgment..
Lastly here is something about the US in the end times as so many people discuss..
Well.. if all above be true and as correct as i can, as well as the theroyies.. here is something for those that still do not beleive in a "rapture"
God says when the spirit of God that restrains the lucifer and his demonic forces is removed from the earth, then tribulation shall begin. In another words once the rapture takes place and most of the christians are on a one way trip to meet Jesus in the Sky, guess what.. most of america is gone right, because we will be collapsed in choas? ok.. america is the worlds super power and that enforces and protects most of the world right? Well collapse the US and rest of the world can do as it pleases..
and lines up peferctly with the bible and what they disscussed here about the rapture. God bless, remember all its not about the small details, yes knowledge is power but in public we must keep our minds and thoughts and words focused on preaching the good news, not debating or arguing over it. God bless and I hope to see you all on the flip side of this life, in heave with our Lord and Savior, Jesus THE Christ. Don't forget the Illuminati the major players behind the scenes selling the U.S. out and causing wars, because they stand to profit; When there is war there is heavy lending and they all are involved in lending and finances. Check out the dvd wake up call, money makers, etc. It will enlighten you to the New world order! This is what is going to bring the U.S. down as well. It's a plan of the powers that be! From what I have run across is that Russia is by 2017 going to use a EMP over the USA and afterwards the rest of the world comes in and destroys us. We have to be destroyed in order for the world to attack Israel.